This garden near Saintfield is an outstanding National Trust property with acres of quiet beauty and gentle walks. In spring it has a magnificent display of rhododendrons and azaleas. There are many species of plants and trees from around the world introduced in the early 20th century. This is an impressive interactive centre which tells of St Patrick’s life and achievements with the aid of the latest technology. Nearby is the Down Museum also worth a visit. The butterfly house features a large flight area with hundreds of free flying exotic butterflies. The tropical enclosure also houses a display of insects and reptiles from Africa, Asia and the Americas (safely behind glass). Near Strangford village is Castleward, a National Trust property well worth a visit. It is a unique 18th Century house set in a beautiful 820 acre estate with wonderful views across Strangford Lough. The house itself is open for guided tours. The extensive grounds have 34kms of trails for walking and cycling through woodland and along the seahore. There is a working cornmill, Strangford Wildlife Centre and the Old Castle Ward to visit, also a tearoom, National Trust Shop and good second hand bookshop all located in the courtyard. Now re-opened after major refurbishment and proving very popular. The beautiful house now been open for 2 years after its extensive restoration and it is also proving to be a very popular local attraction. Continue round the coast towards Newtownards to find this distinctive 18th Century mansion owned by the National Trust. The house has many remarkable furnishings and historical artefacts and is well worth a guided tour. The gardens are famous and have been nominated a World Heritage Site, you can explore the Sunken Garden, the Spanish Garden and the Dodo Terrace or go on the beautiful lakeside or Red Squirrel walk. Titanic Belfast (30 mins away). Visit this amazing and very popular exhibition, see the birthplace of the Titanic and really experience the story. Located in the heart of Belfast it is not to be missed. Good sandy beaches are found at Kilclief and Tyrella a few miles away. We have a good range of maps and walking routes available in the cottage including maps of the Mourne Mountains and suggested routes. 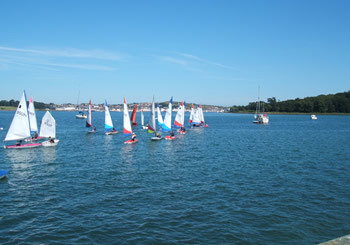 An ideal place for a pleasant stroll with beautiful views over Strangford Lough it is very suitable for children and dogs especially as it has an excellent adventure play park. It is only 2 miles away from the cottage. Castlewellan, Tollymore and Donard Forest Parks. All less than 30 mins away. Miles of woodland tracks with rivers, lakes and beautiful views make these parks ideal for all ages and abilities. 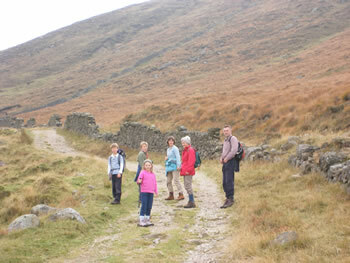 Serious walkers can access the Mourne Mountains and climb the highest peak Slieve Donard from Tollymore and Donard Parks. This is a walker’s paradise but there are few way marked trails, maps and compass are essential. There are various access points and information, maps and guide books can be obtained from the local tourist board in Newcastle (www.magic-of-mourne.co.uk) as well as information, maps and suggested routes being available in the cottage information pack. 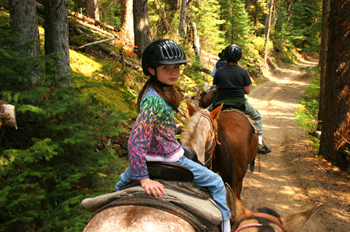 Treat the children to riding lessons at one of the nearby riding schools, why not even try it yourself?. Perhaps you want a family day out? why not arrange a day’s pony trekking in a forest park or ride the Saint Patrick's Way. Fly fishing and coarse fishing are available nearby, permits required which can be purchased locally. Quoile Basin near Downpatrick offers all year for pike, perch, rudd and eels and 1st March to 31st Oct for brown trout.